This is a perfectly safe and *fun* indoor science activity for kids (and the young at heart, like me). 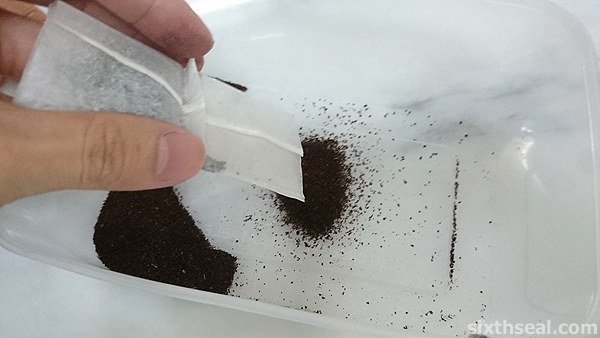 The teabag rocket works due to the principles of thermodynamics – you can read up on the science behind how it works if you’re so inclined, but basically it’s a regular tea bag which achieves lift-off and flies off suddenly like a rocket when lit. It’s a lot of fun and the kids really loved it! I wanted to show this to the little girls and their cousins were there during the weekend too, which makes it all the merrier. I can see that they enjoyed the show. I got them to catch the expired tea bag rocket too, which is surprisingly intact, like a discarded snake skin. You just need tea bags, a pair of scissors and a lighter! Pro tip: Make sure that you’re indoors, turn off your fan and close any open windows to prevent a draft from blowing the tea bag rocket over. I’ve wanted to show this to the kids for a long time. It’s a lot of fun if you have young kids. I like to think of interesting things to do which will entertain them and make them laugh – it reminds me of the projects my late mom did with when I was their age, like growing sugar crystals. 1) I have (mild) OCD, the “ashes” will fly over the place, no? Fun and safe science stuff to do to keep the kids interested in how things work. Thanks! Yeah, there will be ashes but it’s *one piece per tea bag rocket* – the ash won’t break up, unless you did what I did and asked the kids to try and catch it. In the first video, I caught it myself so it settled on the metal plate nicely. If you don’t scatter it, there won’t be a lot of cleaning up, but there will be ashes you need to wipe. 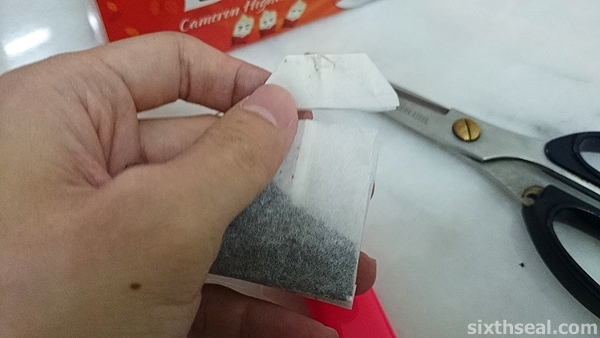 I specially bought this pack of Boh 25 tea bags for about RM 5 and just used it for tea bag rockets. My Pickwick tea bags are too expensive to be wasted like this. Haha! 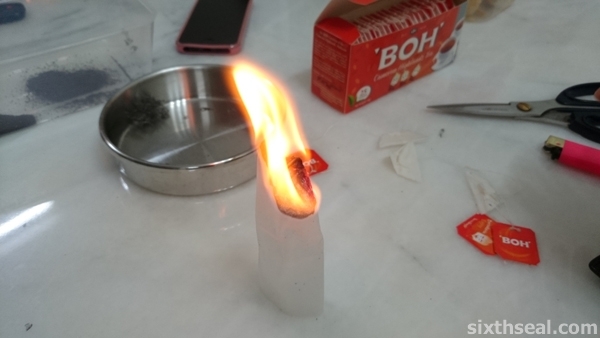 It’s okay if you don’t drink tea, just get a cheap brand for making rockets (but not Lipton coz they don’t work well in tea bag rockets due to the way the top is constructed). 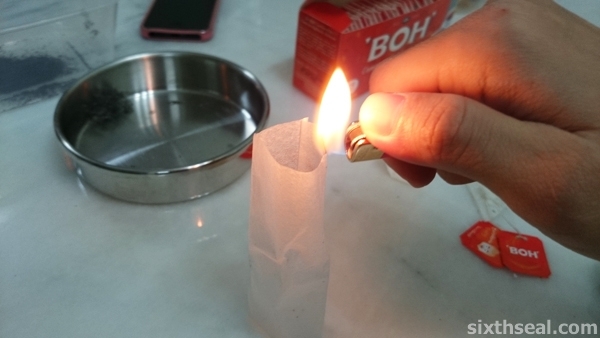 There’s a convection current of air moving in towards the burning tea bag rocket and rising up as a hot air column…and since hot air rises, once the tea bag becomes lighter, it lifts off like a rocket. That’s what I learned anyway. Haha! Some tea bags works better, I found out that Lipton ones doesn’t work as well coz of the way it’s designed so I used Boh. The former wouldn’t lift off as one piece of tea bag rocket, while the latter would. Lol …. That’s so interesting. I only make tea out of it. Btw , great your blog has a mobile version now. Easier for me to read on my phone. It’s the theme, I didn’t do anything. I don’t quite like the theme though coz it’s hard to navigate so this is still a work in progress while I find a new theme. Interesting. Something like Guang Ming lantern. Hahaha on the fan part. What sugar crystal? show us please. Hot air rises and this is just a hot air convection column that pushes the tea bag up once it’s light enough (after slowly burning mass away). Oh, that’s what my mom taught me as a kid, it fascinated me to no end. What you need is a jar of water. Dissolve sugar into it until it’s saturated completely e.g. no more sugar will dissolve anymore, no matter how hard you stir. Tie a string and let it drop down into the sugar water and keep it in a dark closet for 2 weeks. You’ll see a crystal forming at the end of the string after 3 days and it keeps growing and growing bigger until you can take it out and eat it (it’s a sugar crystal now). It really lodged into my mind and made me interested in how things work and why. Interesting. Never knew it could do that. Don’t play with fire! Never let the kids do it unsupervised. My late mom used to do all these things with me too and I think it made me develop and inquisitive mind. No worries! They are good kids, they’ll never play with scissors or matches or lighters or fire without asking first. My dear has raised them very well. They won’t even touch chocolates or candy lying around the house unless they ask first, which is how well brought up they are – much better than I was. I would dig for chocolates around the house when I was a kid and ate it if I found any. I would also use the stove when I was just 8 years old when my parents went out jogging and I was left alone at home so I could cook Maggi mee. Haha. Wah! So clever to win all their hearts! Anymore tricks to teach me? You can’t rely on “tricks” to win the hearts of your loved ones, that’s just wrong. My late mom used to teach me all these things – scientific stuff that’s fun and that made me have an inquisitive mind. I’ll like the kids to learn that way too, so that’s why I think of engaging and fun stuff for them to do so they can develop a wonder for how things work and why. ohhh it’s fun! i would like to show it to my godson, when he grows older! thanks for sharing! It’s something you can do with things lying about the house (although I just bought a pack of 25 tea bags for RM 5 coz not all brands are good for rockets, depending on the design at the top). It’s also really safe and it gets kids interested in science – at least, I think it would, coz projects and demonstrations like this was what piqued *my own* interest in stuff all those years ago as a young lad. The effect is very entertaining and the kids have been asking me about it ever since I told them I’ll show them how a rocket tea bag works so I did it over the weekend. Haha! Yeah, people always say I have a funny accent when I speak but I think I can speak Chinese alright – it’s not *too* bad. ;) I’ve been to China and people (mostly) understood me when I spoke to them. HB, the rocket tea bag not bad but I would not use my good Earl Grey tea bags for it. I know my guys friends go crazy for it. Like Ling would not like to clean the mess made from it. It’s just way too expensive to be wasted like that. They have a great Earl Grey blend called Uplift – one of my favorite Earl Grey blend. However, I’m partial to their Recharge – a classic English Breakfast Tea and Clarity (a 100% peppermint infusion tea which has no caffeine, perfect at night). Yeah, there’s bound to be ashes flying around, but it’s fun and it has to be done indoors, won’t work outside coz of wind. I would go by Wow! This is interesting! I better nor try to do the trick in front of my daughter first. Wait till she’s a little bit older. Hehe. I thought it was really interesting too! I wanted to show the kids how it worked coz it was so entertaining, they loved the Diet Coke and Mentos trick too! I’m always looking for fun things to do with the kids which is also educational. Haha! Yeah, you can try it out yourself first, if your daughter is too young.